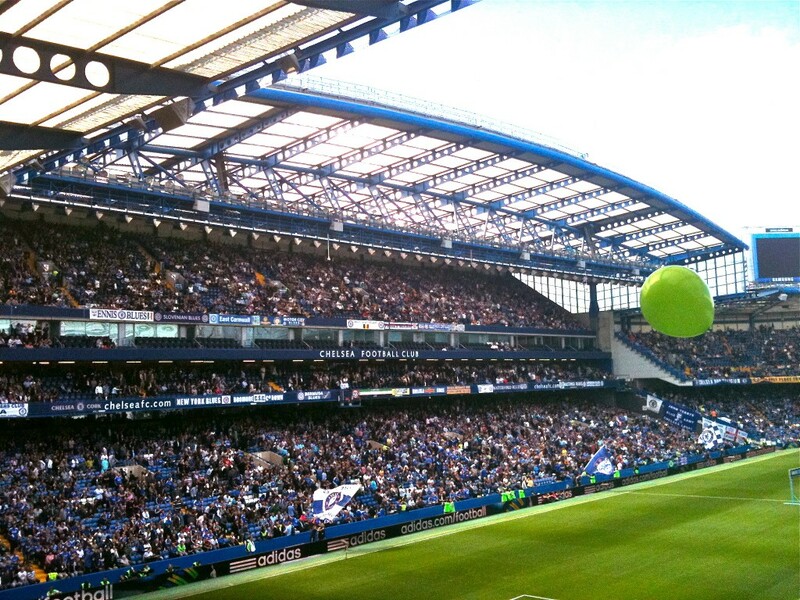 A photo from the away end at Stamford Bridge. As a Norwich City supporter who gets to more away games than at home, this is a symbol of support for my team, defiance, and a recognition that there is more backing for the home team than there is for us. But the green balloon floating in the summer sky, this is what we've waited for. Back in the Premier League, rising with hope and dreams.